This week the Boardroom at Tuffa UK was the venue for a Staffordshire Business & Environment Network (SBEN) half day Spillage Training Event. SBEN helps Staffordshire businesses to increase competitiveness and profitability while improving environmental performance and reducing environmental impact. First thing in the morning, our sales and marketing team transformed our Boardroom into a mini conference theatre, setting up an audio-visual presentation with a Spill Kit on hand. 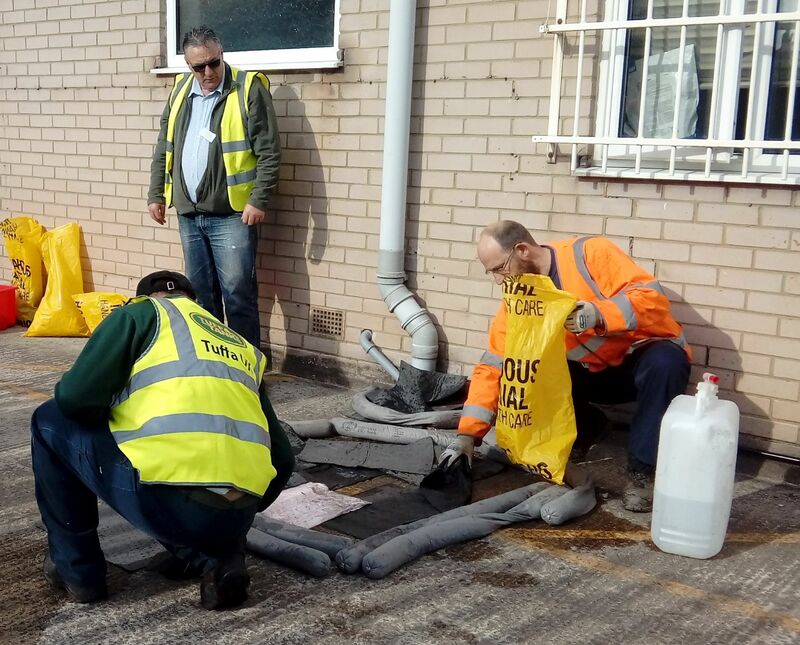 The event was was designed to raise awareness of the impact of fuel and toxic liquid spills and to provide practical advice and training on how to deal with a spill. The training was carried out by Groundworks West Midlands‘ Michelle Mansell, who delivered a practical and interactive training session for the visiting delegates. 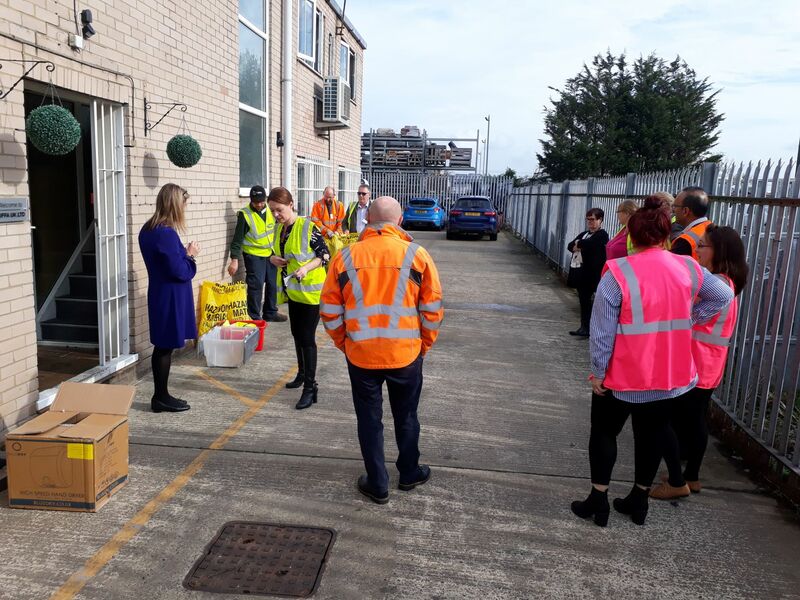 In addition to the presentation in the Boardroom, the delegates spent some time outside working on practical training on how to deal with a liquid spill. After a lunch of sandwiches and a selection of lovely cakes, the delegates stayed on to enjoy a tour of Tuffa’s plastic tank factory, plastic weld mezzanine level plant and steel workshop. At the end of the event, all the delegates received a small complimentary 10 litre spill kit, kindly provided by one of our ancillary suppliers, Centre Tank Services in Birmingham. Tuffa UK would also like to thank Spaciotempo, our neighbours on Dovefields Industrial Estate and Staffordshire County Council’s James Cartwright for their help in providing some additional chairs for use during the event.